So many people seem not to be able to do the whole "smoothie life" when the temperatures are cold but as a smoothie connoisseur and someone who lives in a city ( hey Dallas) that can not commit to a season- smoothie life is year round. But, we can winterize our smoothies buy incorporating these four foods that are perfect for colder temperatures and pack some amazing nutritional value as well. Maca root powder has a slight spice to it, that makes it the perfect addition to my winter season smoothies. In addition to its seasonally appropriate flavor, studies show that it can balance hormones and play a part in increasing your energy. Ask me how I am doing, and the answer you will probably get is, "I am tired". Walnuts are known for their ability to promote melatonin which is the hormone that we produce that promotes sleep. A simple good night of sleep helps to improve our mood as well as our overall health. Guess I will be heading to Costco to stock up on all of the walnuts. Yes, you read that right. 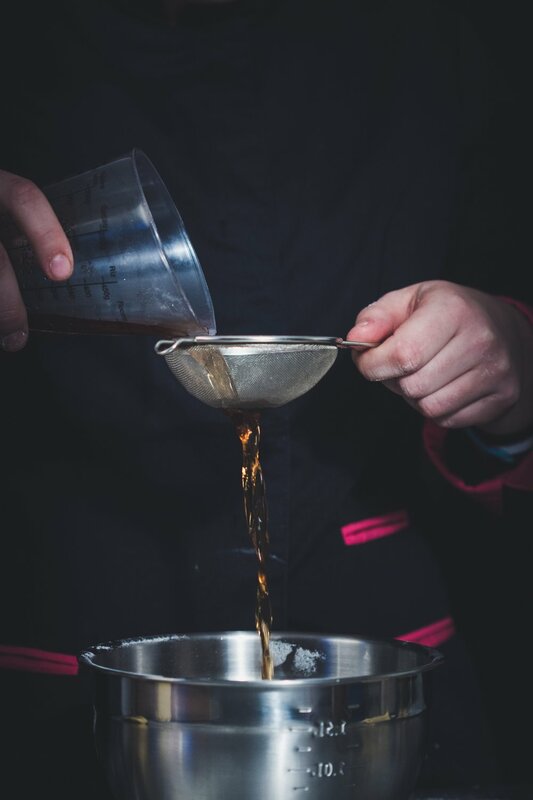 We know that all sugar is not created equally, but maple syrup in its purest form has some pretty amazing health benefits. Of course, with all things the key is moderation. I recommend limiting it to 1-2 tablespoons to help sweeten your green smoothies, but if you are battling inflammation, for example, maple syrup may be the fix you need. I love sweet potatoes and could eat them daily- but I am aware that most people crave this root vegetable in the fall and winter as temperatures decrease. They are super packed with nutrients and are a lovely addition to any diet, and yes they go great in smoothies you just have to be privy to a winning combination. Don't give up on your smoothies just because the seasons have changed. Try adding one or all of these food items mentioned above, and you will not only be providing your body with some great fuel but also creating a lifestyle change that will be a breeze to maintain.